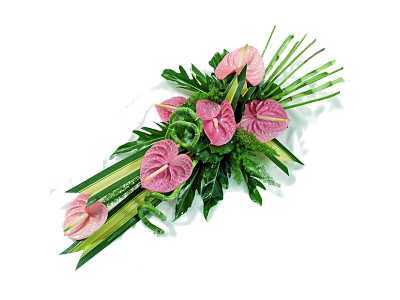 The Modern Exotic is a simple modern spray of tropical anthurium and lush green foliage. Available for UK same day delivery if you order before 1pm. Please note, our price for same day flowers includes a same day flowers delivery surcharge of £4.99.